Establishing strong foundations is an important precondition for effective partnering. Preliminary steps should take into account the complementarity and diversity of the partners and how this will work for the benefit of the initiative at hand. A thorough, preferably jointly undertaken, analysis of what is needed and a collaborative planning process will help to ensure the collaboration has a strong and shared sense of purpose. Such an approach also needs to ensure added value to all parties. Partnering ventures that are not aligned in their ambitions and/or expectations are likely to be sustainable. 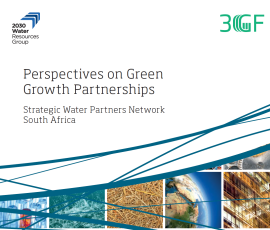 Report: The state of the partnership report 2015. This booklet includes the technique of ‘strategic alignment’ that can be used to define an optimal fit between the intentions and ambitions of each partnership (see in particular chapter 4). Report: For a further elaboration of the collaborative partnering scale, see: Austin, Jim and Seitanidi, May (2015) Creating value in nonprofit-business collaborations: New thinking and practice, Jossey Bas. Report: Two classic studies on why partnerships matter are: Huxham, C.; Creating Collaborative Advantage (1996), Sage; and J. Austin (2000) – the Collaborative Challenge. See also: R. van Tulder (2010). The Collaborative Paradigm, PrC. Report: DCED (2013): Choosing who to partner with: Approaches to screening out companies with negative social and environmental impacts. DCED Private Sector Development Synthesis Note: Development agencies are increasingly interested in partnering with businesses to support private sector development (PSD) in developing countries. But how can they avoid partnering with businesses that have negative environmental and social impacts, and that could damage their reputation in the public eye? Approaches vary considerably between agencies and this Note is an initial scoping of the criteria and mechanisms in use, as well as common challenges. Report: Formalised partnerships are not always necessary (nor feasible). There exists a continuum of partnering forms that should be considered when looking for appropriate strategies for SDGs. Further reading: PrC (2011) From Platform to Partnership. Report: TPI’s Zambia Partnering Toolbook contains a series of tools on building an effective partnering strategy, and offers a fictionalised case study showing how different tools are relevant at different stages of a partnership.